Staying so close to the Pacific Ocean means serious sea-to-table dining at many of Anaheim’s top seafood restaurants. Try the fresh catches at PokiNometry, located at 184 South Harbor Blvd. The counter-service favorite lets you customize Hawaiian bowls, nachos, and salads. Highlighting local ingredients, you build your own with items like local avocado, octopus, scallops, ahi tuna, and much more. The Wild Crab at 9730 Garden Grove Blvd. in Garden Grove is a Cajun eatery famous for their spice, wings, and beer. Open late night, daily specials include crawfish and crabs, lobsters, clams and oysters. Try the fried fish and coconut snail to start. 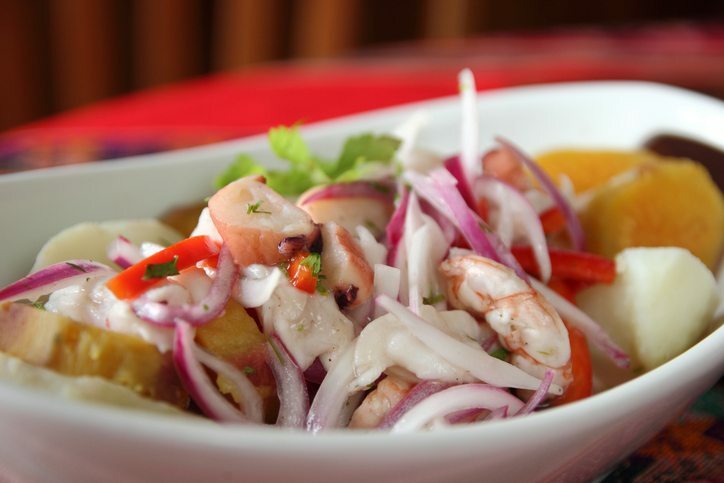 Mariscos Mocorito blends Mexican cuisine with fresh seafood. You’ll find the cantina at 320 East Katella Ave. in Orange where ceviche and fish tacos take center stage. Ask about how the catch of the day is served, try a full fried fish, and pair your dish with one of the perfectly crafted margaritas. It’s the perfect way to cool down on a hot July day. The Catch is a favorite local chophouse located at 2100 East Katella Ave., #104. Known for being both upscale and laidback, it has a great happy hour and extensive menu. Pan seared dayboat scallops, spicy Alaskan chowder, and the Legendary Chilean Sea Bass are all local favorites.